The team of Golmaal Again flew to Hyderabad for some ‘Golmaal Golmaal’ dancing and singing! 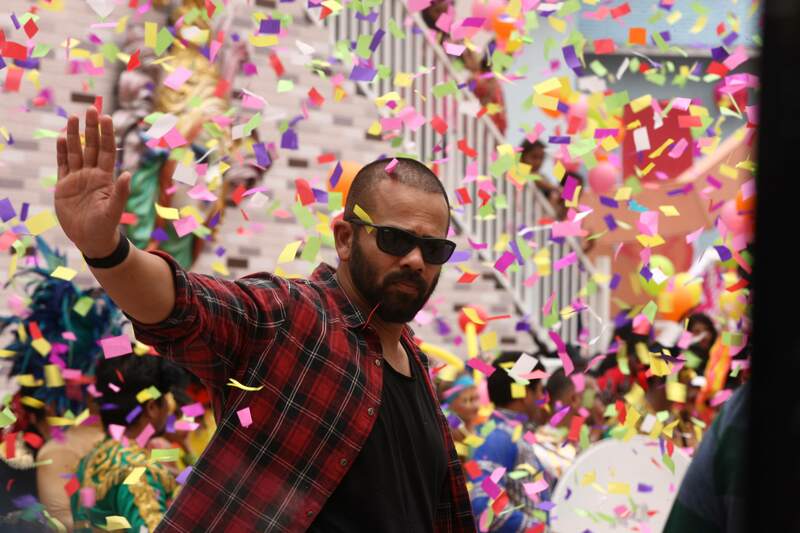 Rohit Shetty’s most anticipated next Golmaal Again has made way to Hyderabad for the shoot of its title track. The entire cast of Golmaal Again including Ajay Devgn, Parineeti Chopra, Arshad Warsi, Shreyas Talpade, Tusshar Kapoor, Kunal Khemu, Tabu and director Rohit Shetty flew to Hyderabad last week for the shoot. The title track has been crooned by Brijesh Shandilya, composed by S. Thaman with lyrics penned by Kumaar. Shot with the backdrop of a carnival, this festive track has the entire cast along with over 1000 dancers swaying to its beat. The song has been choreographed by Ganesh Acharya. The title track of a Rohit Shetty film needs to be larger than life and filled with colour and Rohit never disappoints. In fact, this time he’s added tons of confetti too! Golmaal Again, the fourth instalment of the Rohit Shetty franchise is produced by Rohit Shetty Picturez in association with Reliance Entertainment and Mangal Murti Films. The film is set to release this Diwali, October 2017.